Summer is just around the corner here in Boston so what better time than now to talk about Summer hair tips & trends! EMBRACE THE WARMTH !! So glad that warm tones are finally getting the recognition they deserve! A lot of people associate warmth with brassy, but there is a HUGE difference. 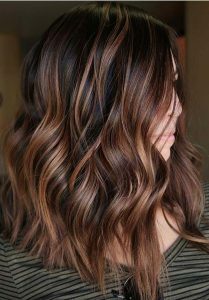 Don’t get us wrong, we love cool tones as well but warm tones give that extra oomph to the hair. Warm tones actually reflect light, making hair look brighter and lighter (and warming up your complexion – SCORE!). 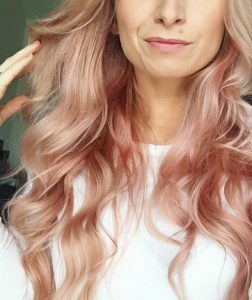 Rose Gold is such a versatile shade believe it or not! It can be a subtle wash, making your blonde have a sheer rosé hue or can be a more vivid blush tone. 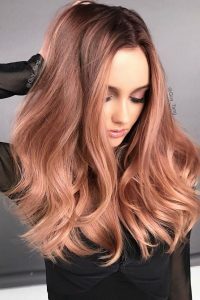 If you’ve been thinking about giving this beautiful tone a whirl, start off with a sheer rose gold gloss over your highlights! Let’s be real for a second. When it’s 80 degrees but Boston humidity has it feeling like it’s 90, the last thing you want to do is blow dry your hair. Now is the perfect time to put those styling tools down and embrace your natural texture! Love the look of beachy waves? Here’s how to achieve those perfectly imperfect waves without a curling iron: wash & condition as normal. Next comb through hair to get out any tangles. Follow up with applying a texturizing cream (like our favorite 6-in-1 styler by Virtue) to your damp hair, making sure it’s evenly distributed. Then take different sized sections of hair, twisting all the way down (be sure to alternate the direction you make your twisted sections to ensure a natural wave pattern). Now let your hair air dry completely, when completely dry break up with your fingers to loosen the waves and voila! Beachy waves without using a curling iron or wand! Give those locks the TLC they deserve! We cause some sort of damage to our hair in so many different ways – heat styling, color/lightening, inappropraite brushing, putting your hair up when wet, to name a few. Many of our loyal clients already know about the amazing new line we started carrying at Joi, Virtue. 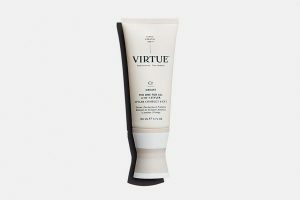 Virtue products are literal game changers. Made up of real human keratin, it seriously helps restore damaged hair from the inside out. The molecule was originally created for regenerative medicine to help heal battlefield wounds such as burns and to regrow tissue using keratin. After testing, it became clear that it also helps heal hair as well. It binds to areas where needed to help fill them in, resulting in stronger, shinier and more healthy hair. Summer can wreck havoc on our hair between the sun, chlorine and salt. 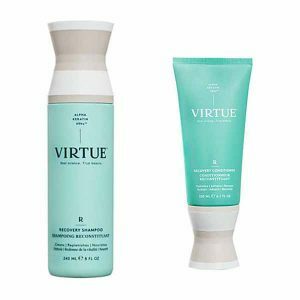 Help repair the damage done by starting off with Virtue Recovery Shampoo & Conditioner. 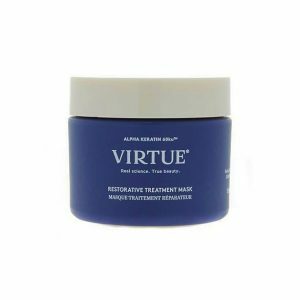 At least once a week use Virtue Restorative Treatment Mask in place of your conditioner for even more healing benefits. Virtue also has an assortment of styling products for whatever your styling need may be, containing the same keratin molecule to help further protect those locks! Be sure to ask your stylist about this amazing line and they can direct you in the right direction to healthy hair! Looking for a cute style to help keep your hair out of you face & make you look summer chic? 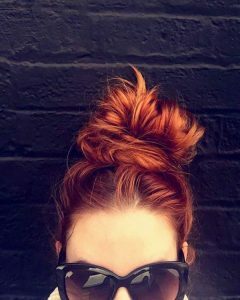 Look no further than a topknot! Topknots are so versatile, you can go half up half down, or go all the way up. Both ways look trendy whether you’re going to work, running errands or going to a party – and are way easier than they look! 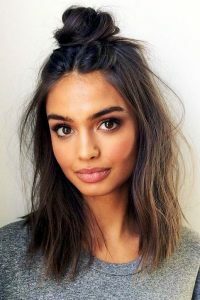 Brush all of your hair to the top of your head and secure with an elastic (if you are doing the half up style then part hair behind your ears and pull the top half up into a ponytail). Next you are going to tease your pony tail to give it a little texture, making sure to smooth the top part lightly. Then you are going to take your teased pony and start to wrap it around to form a bun. Don’t worry about it looking perfect, it’s meant to look kind of messy! You can gently pull on certain areas to add some more texture and make it look a litter bigger. Next up, secure around the base with a few hair pins and there you have it! You’re now ready for your night out sipping summery cocktails! Be sure to try these helpful tricks & trends this summer! This entry was posted in Salon and tagged Hair Tricks, Trends. Joi “got weird” in Austin!